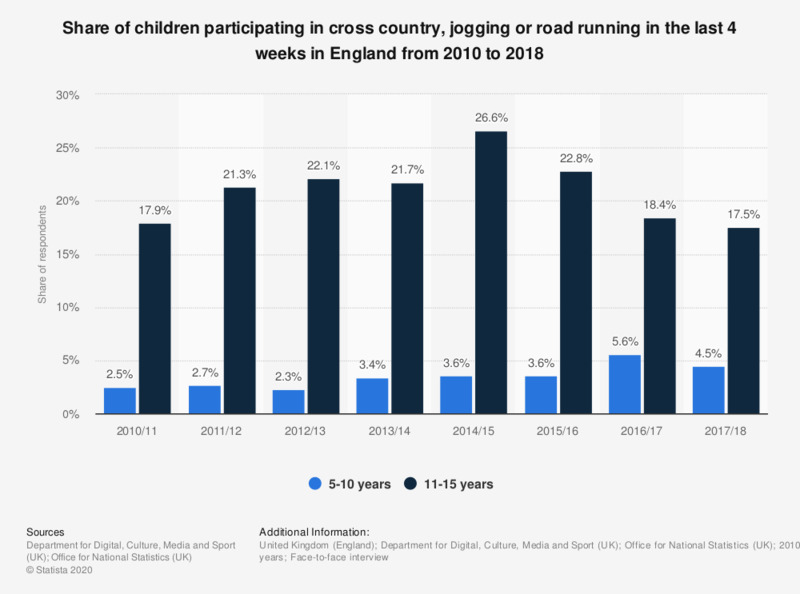 This statistic illustrates children's participation in cross country, jogging and road running activities in England between 2010/2011 and 2017/18, split by age. According to the 2017/18 survey, around 17.5 percent of 11 to 15 year olds interviewed had been cross country, jogging or road running in the 4 weeks prior to the survey. How often do you practice volleyball, basketball and/or handball?